Greg Meyerhoff and Anne Salisbury enjoy meeting with Barbara Marx Hubbard at the ISSSEEM conference September 2016. In September of 2016 we met with Barbara Marx Hubbard at the ISSSEEM (International Society for the Study of Subtle Energies and Energy Medicine) conference in Unity Village, Missouri. At age eighty-seven she feels she is becoming newer. We asked her “How would you describe the driving force behind your desire to continuously co-create?” She shared with us the following. Notable evolutionaries greatly influenced her, including Abraham Maslow and Teilhard de Chardin. According to Maslow, without a rewarding expression of your own unique purpose, you could expect to loose your will to live. And according to Chardin we evolve in life by connecting our separate parts to make greater consciousness, greater freedom and greater order. Barbara discovered that her driving force, or purpose, was to be an evolutionary. She desired to creatively express that purpose through being a communicator of evolutionary potential. And when she expressed this creativity, she felt rewarded and experienced her identity. From that place, she was able to experience a deep sense of wholeness and could co-create the universe with others. This is a useful approach. Discover your purpose, express it creatively and find that experience to be rewarding. Then you sense your identity and, from that place of self-knowing, you can get to know others better and join with them in community. Ask a question with your mental mind. Write down the answer your higher mind gives you. Read it back with your mental mind so you understand it. This is also what we teach in our classes about intuition because there it true wisdom in the phrase, “Ask and you shall receive.” Know the universe is responsive to your requests. Tune into the deepest aspect of your being to hear the answers. Let your mental mind (or lower self) be educated by your higher mind (or higher self). Let yourself be awakened to your true potential. Recognize something within you needs to be expressed. Ask yourself, what is it that needs to be expressed? You can know what this is by noticing what attracts you. Connect with at least one other person who wants to evolve. Each of you share your deepest heart’s desires. Each of you reflect back to each other. Ask for your desires to be made manifest. As we say “yes” to our inner impulse to create, we can act as role models for those who are looking for inspiration. And through following these processes and consciously choosing, we can participate in evolving humanity. Connect and co-create with Barbara Marx Hubbard at BarbaraMarxHubbard.com and Evolve.org. 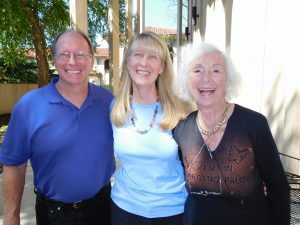 In this interview with Anne Salisbury, PhD and Greg Meyerhoff she read from the book, 52 Codes for Conscious Self Evolution by Barbara Marx Hubbard.